Win over all of your favorite musicians by presenting them with the BriteLazer Band Medal. 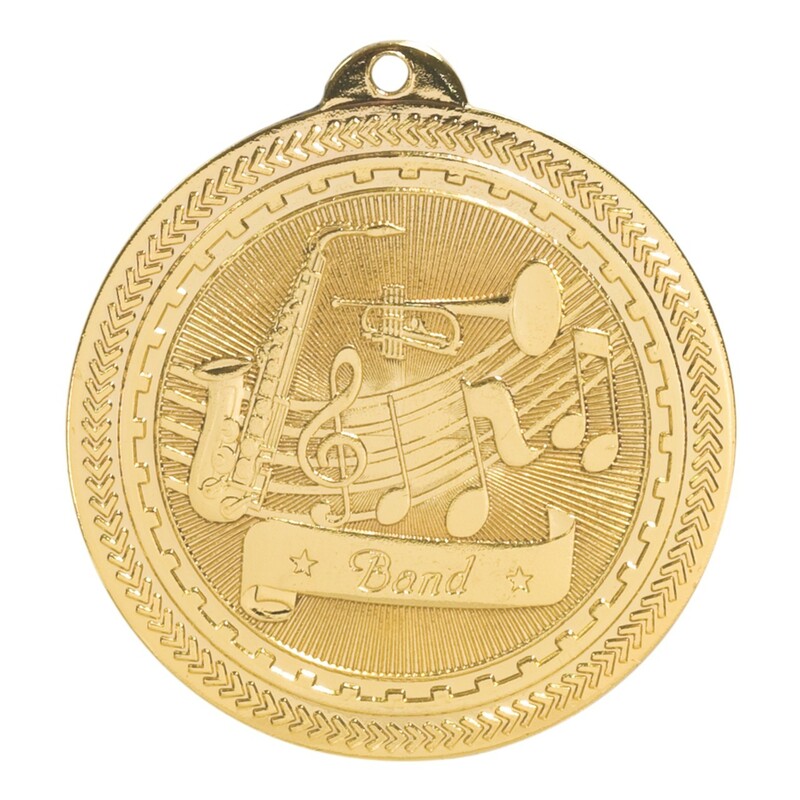 Measuring 2 inches wide with a shiny gold finish, this high quality medal features a saxophone, a trumpet, and a music staff. 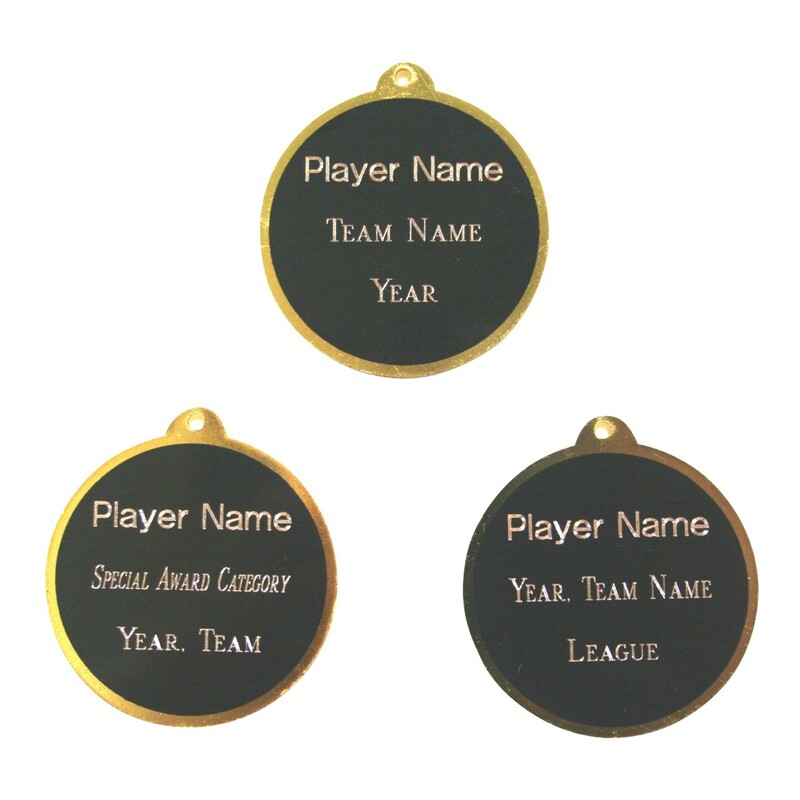 Three lines of custom engraving are etched onto the back. 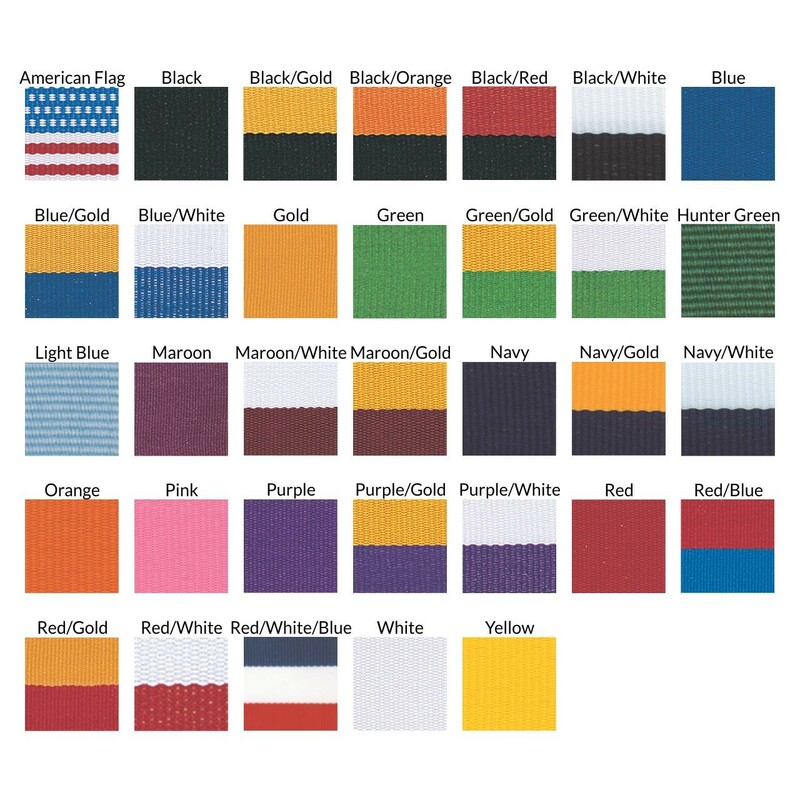 Includes your choice of neckdrape color.